Emulate, whose president Geraldine Hamilton will speak at the first Organ-on-a-Chip World Congress 8-9 July 2015, said the alliance was intended to improve Janssen’s drug development efforts by better predicting the potential human response of drug candidates. The collaboration, which was facilitated by the Johnson & Johnson Innovation Center in Boston, utilizes Emulate’s Organs-on-Chips to advance the clinical goals for three Janssen R&D programs at the stages of drug candidate design and selection. 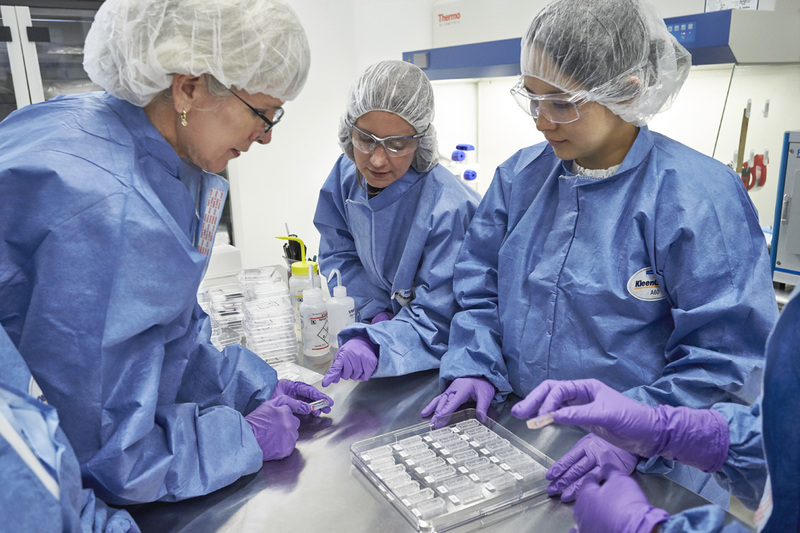 Emulate’s technology will also support Janssen’s effort to enhance drug discovery and development with its 3Rs program: reduction, refinement and replacement of animal testing. Based on our Organs-on-Chips technology, which places living human cells in micro-engineered environments, Emulate has developed an integrated system that provides a window into the inner-workings of the human body. Our living products set a new standard for predicting human response, with greater precision and detail than today’s cell culture or animal-based testing. Emulate’s Organs-on-Chips contain tiny hollow channels lined by living human cells and tissues cultured under continuous fluid flow and mechanical forces, such as cyclic breathing and peristalsis, which recreate the micro-environment experienced by cells within the human body. Each Organ-on-Chip can contain tens of thousands of cells and is approximately the size of a USB memory stick. Organs-on-Chips are miniaturized living systems that represent the smallest functional unit of an organ that effectively recapitulate organ-level physiology and disease responses. Multiple Organs-on-Chips, such as lung, liver, intestine, kidney, skin, eye, and blood-brain-barrier, can be linked together by flowing human blood or nutrient-containing liquid to create a “Human-Body-on-Chips” that closely replicates whole body-level responses. Emulate, Inc. is a private company that creates living products for understanding how diseases, medicines, chemicals, and foods affect human health. By setting a new standard for recreating true-to-life human biology, Emulate is advancing product innovation, design and safety across a range of applications in drug development, personalized health, agriculture, cosmetics and chemical-based consumer products. Emulate continues to develop a wide range of Organs-on-Chips, disease models and diagnostics through collaborations with industry partners and internal programs. By combining our Organs-on-Chips system with individuals’ stem cells, Emulate is accelerating progress toward a new era of precision medicine and personalized health.